Austad’s Golf is a family owned business and have been helping golfers enjoy their game more since 1963. Millions of golfers already know that Austad’s means service. We are one of only a handful of authorized retailers for all major brands. From Callaway, to TaylorMade to Titleist to Ping, they have it all! 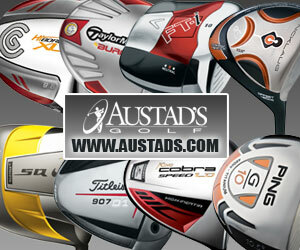 Austad’s carries full lines of clubs, bags, balls, apparel, shoes, golf gifts and more.